This article was first published in the August 13, 2015 issue of The New York Review of Books. Beijing: Foreign Languages Press, 515 pp. In the almost one-hundred-year existence of the Chinese Communist Party (C.C.P. ), its current general secretary, Xi Jinping, is only the second leader clearly chosen by his peers. The first was Mao Zedong. Both men beat out the competition, and thus secured a legitimacy their predecessors lacked.1 Why was Xi chosen? The Beijing rumor mill had long indicated that the outgoing elders were looking for a “princeling” successor, that is the son of a senior first-generation revolutionary. Princelings, it was apparently felt, had a bigger stake in the revolution than most people, and thus would be the most determined to preserve the rule of the C.C.P. Xi’s father, Xi Zhongxun, was a respected vice-premier and member of the C.C.P. Central Committee known for his moderate views, but he fell afoul of Mao in 1962 and was purged, then was rehabilitated and returned to high office after the Chairman’s death. Xi Jinping thus has the additional legitimation of being “born red,” as Evan Osnos put it recently in The New Yorker. Doubtless this heritage partly accounts for Xi’s evident self-confidence, but another factor could be the toughening he underwent as a young teenager, fending for himself in the face of hostile Red Guards and thereafter working in the countryside for six years. According to an official biography, “he arrived at the village as a slightly lost teenager and left as a 22-year-old man determined to do something for the people.” Unlike his predecessors Jiang Zemin, who had the benefit of studying in the Soviet bloc and then rising through the relative stability of the industrial bureaucracy, and Hu Jintao, who started in the industrial bureaucracy and then made his way up the ranks of the Communist Youth League, Xi had no such protective carapace in his early years. That background could explain why Xi has been taking far greater risks after becoming general secretary than either Jiang or Hu did. What is widely accepted among China hands is that Xi is the most powerful leader of China since Deng Xiaoping, with a developing personality cult. Xi is not primus inter pares like Jiang and Hu; he is simply primus. In his recent book, Chinese Politics in the Era of Xi Jinping, Willy Wo-Lap Lam, a veteran observer of Chinese elites, explains that since taking over as general secretary in November 2012 and president of China in March 2013, Xi has centralized power under his leadership to an extraordinary degree, creating and chairing the new Central National Security Commission, which has jurisdiction over the army, the police, and all foreign-related and national security agencies, along with chairing the Central Military Commission, which comes with his job as C.C.P. general secretary. In a move that surely undercuts the regime’s second-ranking member, Premier Li Keqiang, supposedly the economic czar, Xi has created and taken the chair of a new Central Leading Group on Comprehensively Deepening Reforms. Xi has also taken on the leadership of central leading groups on foreign affairs, Internet security, and information technology. In fact, Xi is arguably even more powerful than Deng was, though Lam does not suggest this. In promoting his reform program, Deng had to bob and weave under pressure from equally senior colleagues who disliked reform.2 The only possible threat to Xi could have been his fellow princeling Bo Xilai, but he had been conveniently purged by Hu Jintao in a lurid case that involved his wife’s murder of a foreigner.3 Xi’s current colleagues in the Politburo and its Standing Committee (P.S.C. ), passed over for the top job, seem less of a threat than the charismatic Bo might have been. The Sisyphean task that Xi has set himself is to stamp out corruption in the C.C.P. Both Jiang Zemin and Hu Jintao had warned about the dangers arising from this pervasive problem. According to Hu, failure to eradicate corruption could “deal a body blow to the Party and even lead to the collapse of the Party and country.” Xi has echoed Jiang and Hu, saying that “upholding integrity and combating corruption are vital for the survival of the Party and the state.” On another occasion he emulated Mao by quoting from an ancient philosopher: “Many worms will disintegrate wood, and a big enough crack will lead to the collapse of a wall.” But in contrast with the efforts of Jiang and Hu to stem corruption, Xi has launched a very high-profile campaign. In his words: “We should fight corruption with strong determination,…persevere in our anticorruption effort till we achieve final success rather than start off full of sound and fury and then taper off in a whimper.” He may come to regret promising not to end with a whimper. Xi had been preaching the need to fight corruption long before he became Party leader. At an antigraft conference in 2004, he warned officials: “Rein in your spouses, children, relatives, friends and staff, and vow not to use power for personal gain.” Xi knew of what he spoke. His sister and her family were accumulating investments worth hundreds of millions of dollars while he was rising up the ranks of the leadership, though Western investigative reporters found no evidence that Xi’s immediate family was involved in any way. Nor was this an isolated case among the top leadership. Shortly before Wen Jiabao retired as premier in March 2013, it was reported, by another Western news source, that his family, including his mother, wife, children, and siblings, were rich to the tune of $2.7 billion. Such foreign investigative reports require months of painstaking research, but within the top ranks of the C.C.P., knowledge of the riches of other leaders’ families must be easier to come by. To deal with corruption, Xi has put Wang Qishan, a trusted, longtime colleague, drawn from the seven-member Politburo Standing Committee, in charge of the Party’s Central Discipline Inspection Committee (C.D.I.C.). The committee’s remit is to pursue both “tigers” and “flies,” to root out corruption at all levels. In 2014, Wang’s investigators’ work resulted in over 71,000 officials being punished for violating the eight-point anticorruption rules. Many doubtless were guilty only of living high off the hog on the public purse, not confining their banquets to “four dishes and a soup,” the traditional C.C.P. measure of restraint. But dozens of senior officials have been dismissed; in one province, the ranks of the Party have been decimated from top to bottom. Perhaps the C.D.I.C.’s biggest achievement last year was to repatriate five hundred fugitive officials from abroad and recover almost $500 million of their ill-gotten gains. Wang hopes to persuade even countries like the U.S., with which China has no extradition treaty, to assist him in this endeavor. The prime tiger to be bagged so far is Zhou Yongkang, a member of the ruling Politburo Standing Committee until he had to retire for age reasons in 2012.4 He had been in charge of the Central Political and Legal Affairs Commission, supervising the security apparatus and law enforcement, including the police, paramilitary forces, and domestic intelligence: not the profile of one easily purged even in retirement. So before arresting him, the C.D.I.C. cut the ground from under his feet by rounding up his subordinates in the provincial and state organizations he had run. Last month, Zhou was sentenced to life in prison, the most senior official to be purged for corruption in the history of the People’s Republic. Like Mao before him, Xi relies on the People’s Liberation Army (P.L.A.) as his last line of defense. A year ago, eighteen leading active-service generals, including the officers commanding central P.L.A. departments and the seven regional commanders, swore their loyalty to Xi as chairman of the C.C.P.’s Military Affairs Commission. But this demonstration that the P.L.A. had his back was a sign of weakness as well as strength. Mao had no need for so public a demonstration of military loyalty. And since the anticorruption campaign has already targeted some senior generals, including a former vice-chairman of the Military Affairs Commission and Politburo member—as high as a soldier can get—these eighteen pledges may have been designed as keep-out-of-jail cards. It remains to be seen how loyal the generals stay if the campaign targets more top brass. Swatting flies also involves considerable risks. In many ways, it is a more important task than bagging tigers. Chinese citizens may cheer as another tiger is laid low, but it is the flies, the lower-level cadres, whose predatory activities affect their everyday lives. If corruption among the well over 80 million Party members is as widespread as Chinese leaders imply and the Chinese people believe, then tens of millions could be involved. Suppose that only 10 percent of grassroots Party cadres are corrupt, almost certainly a gross underestimate: that’s 8 million people. Then add in family members, who the Wen Jiabao case suggests may well also be corrupt. With a spouse, the figure becomes 16 million; add in a child, 24 million; add in a sibling, 32 million; and with the sibling’s spouse, one has 40 million people who should be prosecuted. And that’s with only a 10 percent corruption rate. Party morale would crumble along with its organizational strength, as it did during the Cultural Revolution. Already, compulsory visits by officials to incarcerated colleagues must be intimidating. because moral purity is essential for Marxist parties to stay pure, and moral integrity is a fundamental trait for officials to remain clean, honest and upright. In the 1980s, Party officials jumped on Deng Xiaoping’s “to get rich is glorious” bandwagon and many used their positions for corruption. Under Mao, those officials had been told to “serve the people,” but Mao had betrayed them by making them the victims of Red Guard violence during the Cultural Revolution. Corruption, beginning in the Deng era but far worse now, was a payback for what they had endured. Now Xi wants to withdraw that perk of Party membership. Will Party members fall into line or seek to subvert the campaign? What will be the impact on potential Party members? This problem is exacerbated by Xi’s lack of any persuasive ideology to enthuse Party members. He has conjured up the “Chinese dream,” the “rejuvenation of the Chinese nation,” and according to an official document from the C.C.P.’s Central Committee, “we are…rapidly arousing mass fervor, proclaiming that socialism with Chinese characteristics and the Chinese dream are the main theme of our age.”6 But the Chinese dream is too distant to arouse “mass fervor” among citizens whose personal dream is to be able to afford an urban apartment or their son getting a good job after college. As for “socialism with Chinese characteristics,” Deng Xiaoping’s justification for putting Marxism on the shelf, any educated Chinese knows that the nearest facsimile to that can be found only in Singapore. Taiwan could be labeled democracy with Chinese characteristics. Capitalism with Chinese characteristics? Hong Kong. And China? 1.3 billion people with Chinese characteristics. There is no ideological there there. Neither the “Chinese dream” nor “socialism with Chinese characteristics” has the intellectual plausibility of Marxism-Leninism, and certainly does not arouse the mass fervor of Mao Zedong Thought at its height. Marxism-Leninism, like Confucianism, was a philosophy that embraced state and society, that guided officials and prescribed rules for families. It was a doctrine that glued cadres and people together. But however much Chinese leaders proclaim that Marxism-Leninism is still their lodestar, and Xi Jinping proposes the study of Marxism in institutions of higher learning, in practice the works of Paul Samuelson and his successors are far more relevant to officials who seek to engineer the Chinese dream than those of Marx and Engels. Chinese who seek something to fill the spiritual void have turned in their tens of millions to a different Western doctrine, Christianity. The spread of a Western religion is a prime example of the problems that face Xi in his avowed aim to keep out Western doctrines, though the Party seems confident of containing it with a policy of knocking off crosses and knocking down churches. There is nothing particularly surprising about this listing except for its confirmation of the extent to which “opening up” has resulted in the spread of Western values among Chinese citizens. But the sixth concern, “historical nihilism,” is a particular worry of Xi’s, connected with his understandable obsession with preventing the C.C.P. going the way of the Soviet Communist Party. He believes the rot started in the Soviet Union when Party leader Nikita Khrushchev denounced Stalin’s record in 1956, thereby dividing Soviet history into a bad era (Stalin’s) and a good one (post-Stalin). For Xi, it was historical nihilism to write off the Maoist period, with its Great Leap famine and its Cultural Revolution—“the devastation that Mao left in his wake,” as Andrew Walder puts it in his major new book, China Under Mao: A Revolution Derailed8—as all bad, for he fears that would ultimately mean denigrating Mao, and, as his portrait on Tiananmen demonstrates, the Chairman is still the legitimator of the regime. 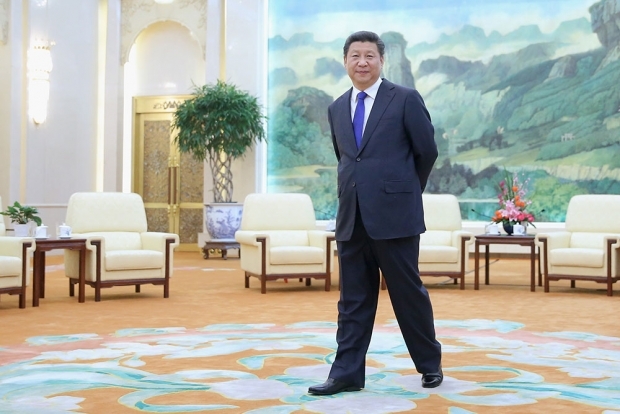 Xi clearly intends that the members of the C.C.P. should have their ideals and convictions strengthened and he will be the “real man” who will lead the resistance to infiltrating Western doctrines. What Xi did not acknowledge was that when Gorbachev came to power in 1985, his aim was to revive the Party and the country after two decades of corruption and stagnation under Brezhnev. He believed in communism, state ownership, and central planning, probably more deeply than Xi. Like Deng Xiaoping, Gorbachev launched reform (perestroika) and opening up (glasnost). But unlike in China, the Soviet bureaucracy had been in power for many decades and had not been terrorized and undermined by a cultural revolution. Resistance to perestroika was strong, even within the Politburo. Glasnost became the more important route for changing the Soviet system, and authors and journalists exploited their new freedom. Hitherto banned books were published. Informal groups were set up in favor of perestroika. Public opinion became important. The regime came under open attack. And gradually Gorbachev became more radical in his effort to shock his countrymen into change. Ultimately, the Soviet Communist Party was dissolved and the Soviet Union fell apart. Xi Jinping is as concerned as Gorbachev was to transform the Communist Party that he leads and to prevent the collapse of the People’s Republic. The Soviet example proves to him that glasnost is not the way to go. With an estimated five hundred demonstrations a day across China, 60 percent of them provoked by “land grabs” by local officials, opening the door further must seem imprudent.10 Rather, closing down has been the order of the day. The atmosphere in intellectual circles has become chillier than under Hu Jintao. Even anticorruption whistle-blowers are punished; Xi wants a centrally controlled campaign, not an unpredictable free-for-all. So Xi has chosen his form of perestroika. In addition to the anticorruption campaign, it comprises thoroughgoing economic reform. But almost forty years after the end of the Cultural Revolution, Chinese bureaucrats have recovered their self-confidence. Insofar as economic reform now will hurt their vested interests, including their power over the economy, they drag their feet. Local governments with no hope of increased central subsidies also are recalcitrant. How foot dragging can work was illustrated in an outburst by China’s premier against ministers in April this year when he upbraided them for allowing cabinet decisions to become mired among their subordinates. A further factor, unmentioned by the premier, is probably a reluctance to take initiatives because of the anticorruption campaign. This would hardly be a satisfactory outcome. Citizens would know that the rich and powerful had got away with it again. They would characterize the campaign as simply factional fighting at the top, as they will already have noticed that Xi’s campaign has so far not targeted any princelings. And they would continue to demonstrate against the flies. The “China dream” would be dismissed as a joke. Alternatively, Xi can pursue the campaign vigorously, if not to the bitter end—which would never be reached—then at least for a few more years. The dangers are clear: a coup against him by fearful tigers; demoralization among the flies, the Party rank and file; the generals refusing to maintain their support as they, too, continue to be besieged by the C.D.I.C. Or Xi could try to divert attention, either by stoking the fires of nationalism with further provocative moves in the East and South China Seas or by folding anticorruption into a new campaign that would benefit both the people and the country. This would be an attack on the third great disaster that the C.C.P. has visited upon the Chinese people, the degradation of the environment, a tragedy whose impact will be longer lasting than the famine or the Cultural Revolution.12 Since the land grabbed from peasants by officials is often sold to a polluting industry, corruption would still be targeted. And if Xi took the chair of a new National Environmental Protection Committee, finally a serious effort would be made to purify China’s earth, air, and water.